Google Panda and Google Penguin: What Are They and How do They Affect Your Website? Prior to 2011, the Internet was quickly becoming a wild and unmanageable place. Individuals were making hundreds of thousands of dollars, or more, teaching others how to win themselves a premier ranking on Google’s search results. Everyone wanted to know the perfect keyword density, exactly how many advertisements they could cram above the fold and how to find more and more backlinks for their website. Creating content on the web had turned into a massive game of numbers and quality began to drop like a stone. After all, all that mattered was that writing drove someone in through a search engine; it didn’t have to be worth reading. With millions of people gaming its system, cluttering search results with spam and driving away its customers, it was only a matter of time before Google reacted. The result was two search algorithm updates that rocked the very foundations of the Internet marketing community, and stripped millions of websites of their page rankings. It was, for many, disastrous, but you can learn from their mistakes. By understanding Google Panda and Google Penguin, and what Google is trying to achieve with them, you can improve your own marketing strategies without the fear of sudden retribution. Google Panda was introduced in February 2011, but its wide-reaching effects were not fully felt until April. Unlike prior algorithm changes, Google Panda didn’t just punish a single page of a website. If it detected widespread wrongdoing, Panda would drop the page rank of an entire site. Panda focused on quality and freshness to determine rankings. It used the input of real human testers to learn what made a website high-quality or junk, and began scanning for everything from proper grammar to advertisement density. In a nutshell, Panda began policing on-site SEO to guard against algorithm exploitation. The Panda update sent out huge shock-waves around the Internet. An estimated 12 percent of search results were impacted, including content mills, scrapers and legitimate websites alike. The new emphasis for on-site SEO is natural, original content that’s either new and interesting or valuable and evergreen. If Google Panda was largely an attempt to clean up on-site SEO, Google Penguin takes care of often-abused off-site SEO methods. Since the earliest days of Google, the search algorithm has looked at the number of links pointing to a website as a measure of its popularity. Recognizing this, marketers adopted link-building, also known as backlinking, as one of their primary SEO strategies. Entire blogs were built simply to house links to another website, and the top-ranked sites for some keywords still have millions of backlinks behind them. Google now analyzes those links for their quality as well as quantity, and punishes websites that appear to have used link-spamming programs. Improper backlinks were the most common reason for a loss of page rank following the Penguin roll-out, but it also targeted other black-hat SEO methods. Keyword stuffing is now penalized instead of rewarded, duplicate content is hit even harder than it was by Panda and “cloaking” website content to fool Google’s bots is now identified quickly. With Penguin, Google seeks to eliminate websites made entirely for profit and with nothing valuable to share with searchers. Three percent of English search results were affected after Penguin’s introduction in April 2012, and a much higher percentage of non-English websites were also punished under the new guidelines. After so many people have seen their livelihood come crashing down around them, there has been much speculation about the future of Internet marketing and SEO. Particularly after Panda, there was widespread panic and pessimism from those who had built up a small fortune playing Google’s algorithm to their advantage. However, marketers have always been reliant on Google to supply their traffic, and it’s no surprise that Google has a vested interest in protecting its results. If a keyword search returns nothing but spam, traffic will die off for every website as people stop trusting search engines. And so the future of SEO is largely dictated by Google itself. The good news is that Google’s vision of a better internet actually minimizes the role of SEO and emphasizes quality content. Website owners no longer need to worry about competing with rivals for every last link or run a hundred different tests to determine the perfect percentage of a certain keyword. In theory, if any website has more valuable content than another, it will be ranked accordingly. Whether you are an experienced marketer or just getting into the industry, Google Panda and Google Penguin must be taken into consideration before you publish a single page. 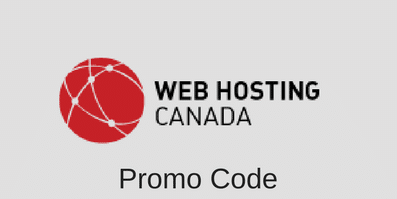 You no longer need to worry about keyword stuffing or purchasing links from some shady company. Instead, make sure your content is interesting, informative and interactive. Google is increasingly valuing the social aspect of the internet. Participate within your community by leaving comments on related blogs, writing guest posts and encouraging discussion on your own content. Doing so is also the best way to build natural backlinks, which will not draw Google’s ire. Google funds most of its projects through its Adsense program. It wants and needs marketers to succeed, but not if that success jeopardizes its overall business. By working with Google and paying attention to what the company wants from its search results, you won’t need extensive SEO to emerge on top. There’s still money to be made in Internet marketing, so long as you’re willing to put in the effort needed to create a website worth visiting. 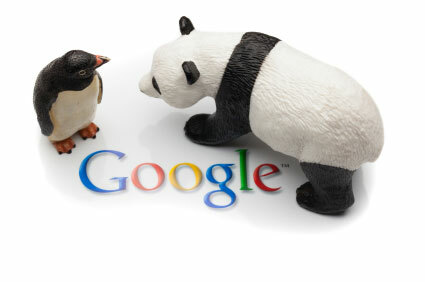 This entry was posted in Articles and tagged Google, Google Panda, Google Penguin on June 21, 2012 by WHR.